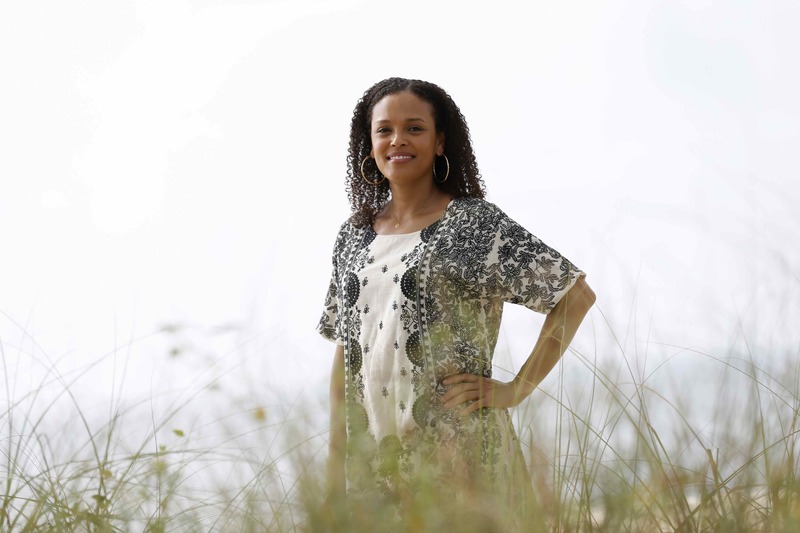 Two-time National Book Award winner and MacArthur ‘genius’, Jesmyn Ward, will take the stage at Kleinhans Music Hall on Thursday, November 15 as the next visiting author in the BABEL series. If you’ve never Jesmyn Ward, you might be wondering why you should. It’s a question Ward was frequently pushed to answer when she first started as a writer. When Ward accepted her second National Book Award in 2017 for Sing, Unburied, Sing, she said that whenever her early work was rejected by publishers, there was an underlying implication that a general audience would not read it because her stories were not “universal” stories. 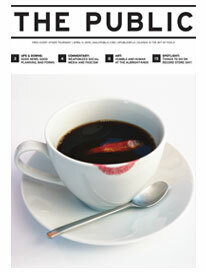 How could readers see themselves as a pregnant 15-year-old, or a poor black boy, or a neglectful, drug-addicted mother? But on the other hand, what does a kid who has never left their hometown have in common with a group of children who attend a school of witchcraft and wizardry? How does a devout Christian relate with a murderous nihilist in The Stranger? Reading, Ward argued, connects us to realities not our our own because while the details of our stories are not universal, the emotional spectrum of the human condition is. Ward’s work doesn’t simply ask the reader to imagine these characters or to feel their pain. She’s telling us that her characters reflect human lives that exist beyond the boundaries of her writing, and that the depth of our empathy for them is hobbled by our inability to see them. Here, the inability to connect has implications far beyond a reading experience. It slithered itself along, wide and narrow, crossed by the small wood and concrete bridges, lined by thin slivers of white beach, in and out of the trees, before it divided itself into the bayou and emptied itself into the bay. This foreshadows the diverging paths each twin will take. Like the river, “young and small,” their origins are exactly the same, but in the face of obstacles must divide and disperse. Still, both paths lead to forms of self-destruction: one to an honest but back-breaking job, and the other to drug-dealing. These trajectories are in stark contrast with the wealthy white lives on the other side of the river—those who live in the “toy houses” the boys see from afar. Ward’s own mother spent most of her working life as a maid, cleaning the homes of rich families in Bois Sauvage’s real-life counterpart of DeLisle, Mississippi. This divide, Ward believed, was the legacy and burden of poor Southern blacks—but not theirs alone. Ward’s writing opens our eyes to just how deeply the rest of America shares in this burden, and how heavily it still sits on our collective shoulders 153 years after the end of American slavery. Ward’s latest novel Sing, Unburied, Sing examines this painful schism in the American family by literalizing it in the form of a nuclear family. Cocaine-dependent Leonie is a black woman and the granddaughter of a slave. Her children’s incarcerated father, Michael, is a white man and the son of the town’s ex-sheriff, who refuses to even see his mixed-race grandchildren, Jojo and Michaela. The novel’s chapters alternate between the perspectives of these characters, giving the reader glimpses of all the ways they are failing each other. Through these shifting narratives, which in their prismatic structure evoke another classic novel of the poor South, William Faulkner’s As I Lay Dying, Ward bridges the distance between disparate but crucially interconnected experiences. As enmeshed as Ward’s work is with the knotty present, it is also haunted quite literally by the past. The wraiths of American racial violence stalk Ward’s characters, and they are far from abstract phantoms. Leonie thinks she is hallucinating when she first sees the ghost of her brother, casually murdered as a teenager. Her son JoJo is similarly bewildered by the ghost of a long-dead boy named Richie, who knew JoJo’s grandfather at the brutal prison where they spent their adolescence. These supernatural apparitions, visible only to some, also serve to literalize the legacy of American trauma. The failure of the characters to fully see each other, in life and in death, prevents them from moving forward. And so they are suspended in time, caught in the grating loop of history. Like the ghosts who haunt their steps, these contemporary Americans can’t move on. Ward never lets her reader forget the way trauma perpetuates itself over generations, and to read her work is to feel the weight of our national past behind every scene. In an era when America’s national demons seem to be catching up with us, the work of Jesmyn Ward reminds us that they were always walking in our footsteps. Tickets are still available for Jesmyn Ward’s BABEL appearance by calling (716-832-5400); on the website, or at the door at Kleinhans starting at 7:00pm on November 15th. With contributions from Thomas Beckley-Forest.